GSP Returns to Submit Bisping to Win Title! GSP Injures Neck During Fight? What is Next for Middleweight Division? Like most people I could not wait for this new bulky GSP to return after a four year hiatus. But in the first round George Rush Saint Pierre believes an elbow thrown by Michael Bisping while in the clinch against the fence. Even with these injury so early in the fight and Bisping opening up GSP’s face from the bottom in full guard; GSP still managed to put Bisping to sleep with a Guillotine. Even without locking his legs around his body; using mainly his new found strength to quickly put him to sleep. Before Bisping even had time to tap out. But with the news of this new injury what happens to the UFC Middleweight Championship. With Anderson Silva getting hit by USADA; even though it has not been released what was found is his system yet; leading to Silva being forced out of his fight with Kevin Gastellum. Surprisingly Michael Bisping has stepped up to take his place. The fight being only a few weeks after he was put to sleep by GSP. With many believing and even rumors that the winner of Silva and Gastellum’s fight would be getting the next title shot; what does this mean for the title with an injured champion? Before being taken out of the fight USADA, Silva was talking about retiring if he did not get a title shot soon. He really wanted his fight with Kevin to be for the interim title. So does this mean that we have already seen Silva’s last fight. Where he won against s game Derek Brunson by decision. I truly hope not, especially since Silva has and always will be one of my favorite fighters of all time since he dismantled Chris Leban like nobody had done before. 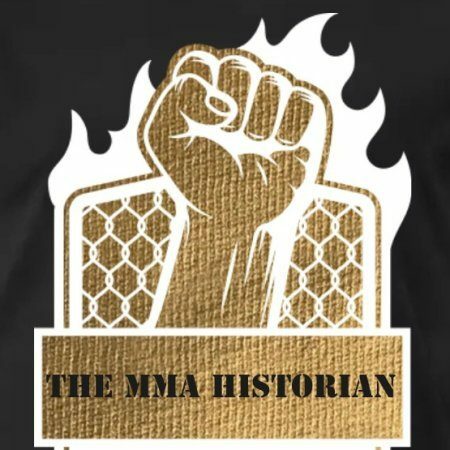 To hear from someone like Leban who has been in some of the craziest stand up wars in UFC history say that Silva was the man who had hit him the hardest during his career. If anyone has seen what Silva looked like back then, a tall and lanky Muay Thai striker that I could call skinny for his division; had the hardest hitting strikes in the division. If anyone would like to watch a serious Anderson Silva fight I recommend they watch his Chris Leban and Rich Franklin fights. But back to the Middleweight division. What happens if Bisping wins this fight? Does he retire on a win, or does he get his rematch if GSP is ready? But what happens if GSP is still recovering what happens to the title? I guess we just have to wait and see what happens at UFC 218 I guess. Could the Middleweight division end up losing three of their top contenders, or does Bisping or Gastellum become the new champions? All I know is I still want to see Anderson Silva vs. GSP; but with so much trying to prevent this super fight from finally happening I guess we all just have to wait till UFC 3 comes out to finally find out would win.